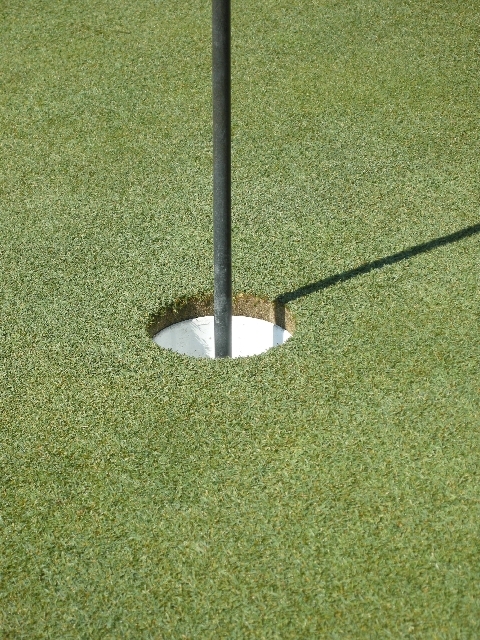 There are several factors our staff takes into account when selecting a hole location. Weather (is it going to rain or we just had some precipation, general wind speed for the day), wear& tear in an area (amount of ball marks/ old hole locations), and green speed to name a few. We also try to implore a philosphy that the course should play to the course rating and yardage each day and to provide 6 easy, 6 moderate and 6 tough hole locations placed sporadically throughout the golf course. We try to accommodate all types of skill levels by mixinghole locations on the left, middle, and right sides of the green. 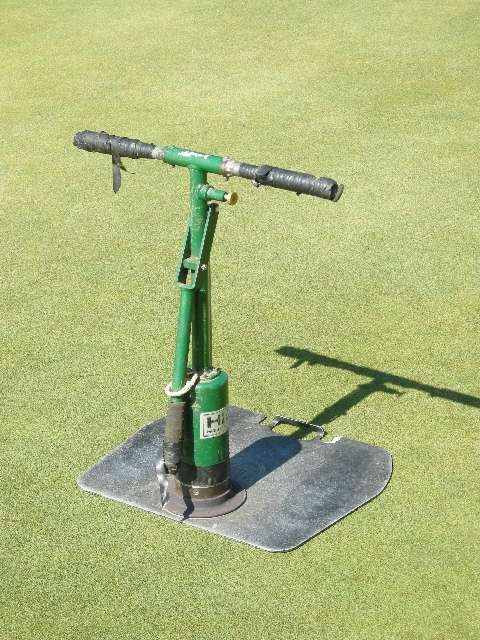 If thehole is cut deepon the green, then the tee markers for that hole should be placed forward of the yardage plaque. If you are playing to a front hole location, then you will find the tee markers will play slightly in back of the yardage plaque. The pictures below depict ourhole selection process. Below (left to right) is our cup cutting tool, cup setter, smart level and cup setter guide. 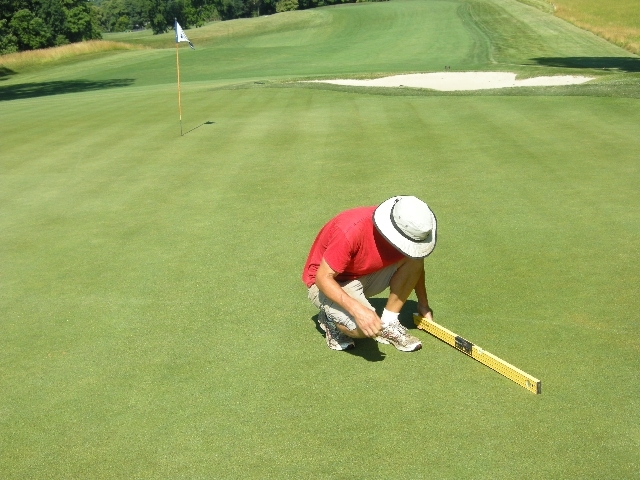 Above is Seasonal Staff Member, Rob Simpson, using the Smart Level to determine if an area is suitable for a hole location. 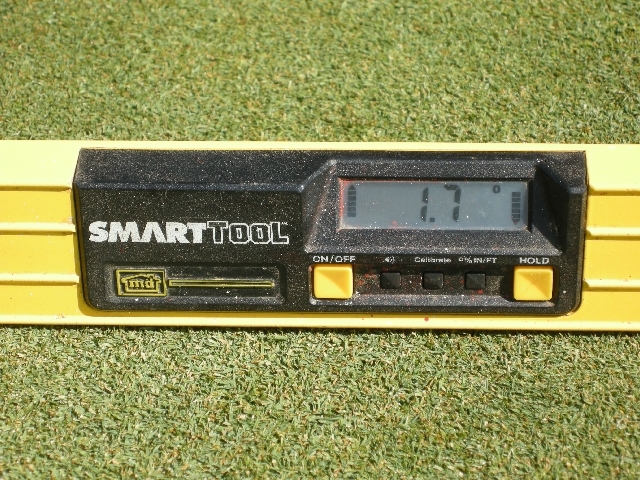 TheSmart Level is 3 foot in length and gives a digital reading in percent slope, as seen in thepicture below. The USGA will set their hole locations for the major tournaments at no more than3%. 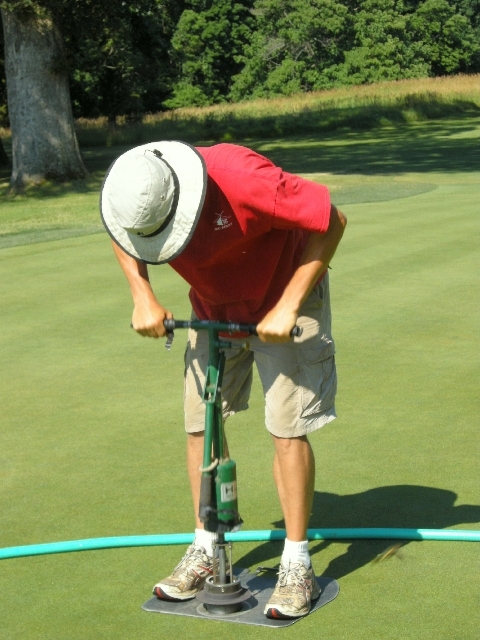 For our greens, and depending on the green speeds, we will set our percent slopes between 2 to 3 %. For some of our greens, such as #11, we can not set the hole above 2% or the ball may not stop near the hole for a justifiable recovery shot. 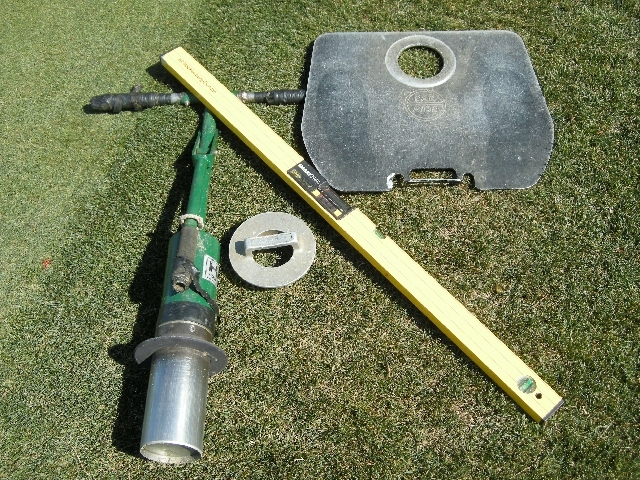 After selecting an area for a new hole, the cup liner is removed from the previous location to prepare the old hole for a plug from the new hole location. 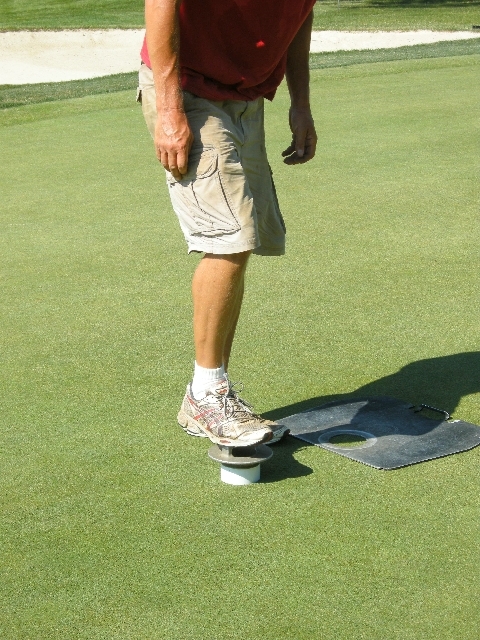 Then (below), the cup cutter is carelfully pounded into the ground several times. Once the cup cutter has reached the desired depth (14 inches), we make sure that the hole is level on the vertical axis. We then use the cup setter, placed into the cup liner and gingerly push down as to not damge the cup edge. 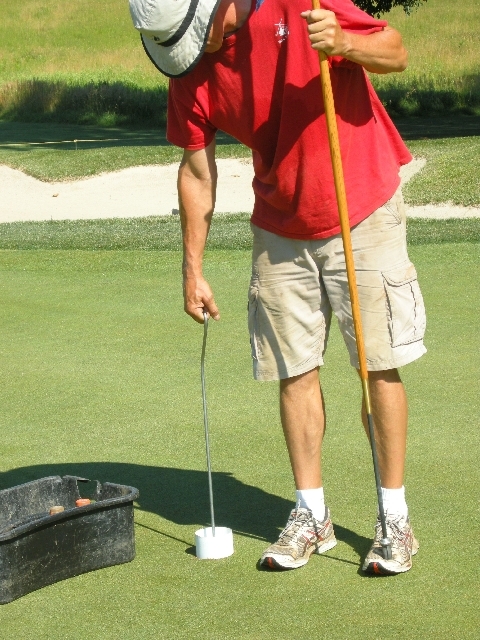 When all said and done, the liner should be placed 1inch below the surface, in accordance with the Rules of Golf.